The INK visually jumps to another card. Looks like a camera trick, but it's not! INKredible is a utility gimmick that is loaded with potential. Quickly make your custom gimmick - it only takes minutes. Download this video and learn to perform INKredible! 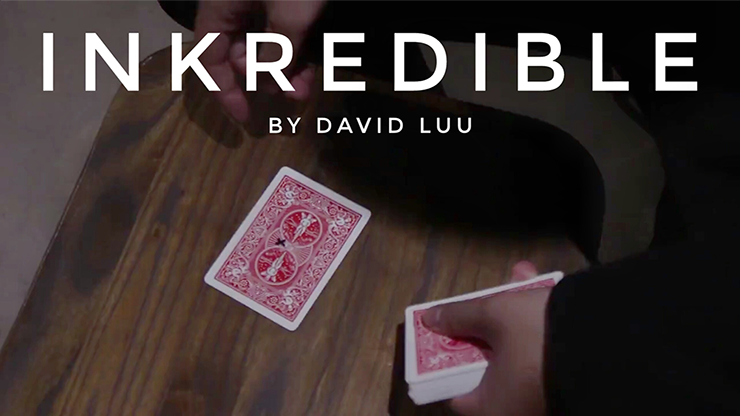 INKredible by David Luu video DOWNLOAD The INK visually jumps to another card. Looks like a camera trick, but it's not!